The church is facing ominous times. Science, culture, and politics are conspiring to silence the gospel and render Gods bride impotent. You can see it in the numbers less than one half of 1 percent of eighteen to twenty three year olds hold to a Christian view of the world.1 More than 80 percent of young adults are spiritually disengaged by age twenty nine. In society as a whole, the number of those who profess no belief in God the nones more than doubled between 2007 and 2014. Though ... See More statistics show an overall worldwide increase in the numbers of religious believers, that phenomenon is almost solely attributable to growing numbers in places such as Africa and China. In Europe and America, the numbers of the faithful are declining as younger nones replace their more religiously affiliated elders. So how do Christians reach nones with the gospel? 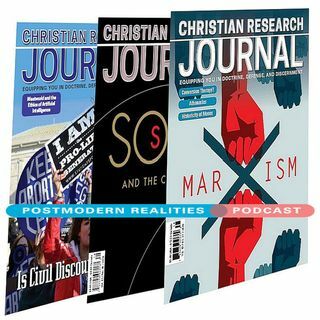 This Postmodern Realities Podcast episode is a JOURNAL author conversation with Bob Perry about his Volume 40 4 Effective Evangelism article That Nones May Not Perish as he answers questions including To what do you attribute the growing number of nones in our culture? Do you think the church shares any culpability in this trend? What traits can you identify that the nones hold in common? Can you suggest an overall strategy that we can employ to address the attitudes and concerns of the nones? Arent we bowing to the culture by using this kind of evangelistic method? Shouldnt we just be preaching the Gospel and letting the Holy Spirit do the work?